Is Coconut Oil for Acne an Effective Treatment? Yes, coconut oil for acne is an effective treatment. Coconut oil contains anti-fungal, antibacterial, antimicrobial and antioxidant properties that are effective in fighting acne. It will help fight the infections and inflammations of your acne, which will prevent or minimize future break outs. Coconut oil contains vitamin K, vitamin E, lauric acid, capric acid and caprylic acid that helps prevent acne scaring. When scaring has already occurred it help minimize these scars. Coconut oil for acne is so effective because it’s a mild treatment for acne. There are many treatments that are so harsh that they will inflame your skin causing your acne to get worse. You want the treatment to be safe, mild and effective. The solution we propose is to use coconut oil as a natural and effective treatment for your acne symptoms. That might strike you as unusual, considering most other specialists advise people suffering from acne to avoid oils and oily food, but keep reading. 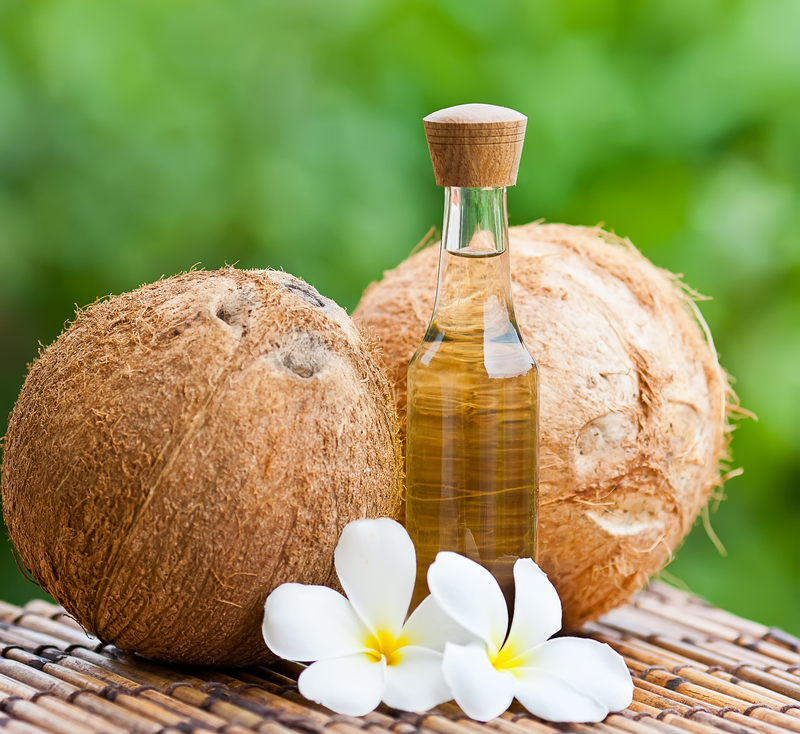 There are plenty of good reasons why coconut oil is a surprisingly effective treatment, and is worth trying before or after the common prescription medicine doesn’t deliver on all of its promises. Coconut Oil is the source of two of the most powerful antimicrobial agents found in food. These two antimicrobial powerhouses are Capric Acid and Lauric Acid. They are the same acids that are found in breast milk which keep newborn babies protected from infections. When these are applied on the skin, some microbes (good ones) present on the skin convert these acids into Monocaprin and Monolaurin, respectively. This helps to replace the protective acid layer on the skin which is removed through constant washing and wiping by frustrated teenagers. Basically, without the microbial infection, acne cannot develop! Not only external application, but also internal consumption of coconut oil will give you a similar level of protection, but direct application is usually suggested. Furthermore, coconut oil is a rich source of Vitamin-E. This keeps your skin healthy and ensures proper functioning of the sebum glands and clears blockage. This means that it treats the actual root cause of acne, not just the behaviors that lead to its appearance, or the symptoms once they have occurred. Hormone regulating-substances, as vitamin-E is in some ways, can reduce some of those natural hormonal fluctuations that lead to the sebum gland becoming hyper-active. Coconut Oil is also soothing to the skin and highly penetrating, so when it is applied, it is absorbed quickly and immediately begins to reduce the inflammation from acne that is already present. Coconut oil also helps heal any sorts of open wounds on the skin from severe cases of acne. Above all, Coconut Oil improves the rate of metabolism. This also indirectly affects proper secretion and hormonal balance, thus curbing the chances of developing acne, and increasing the rate of healing and repair to skin cells damaged by this widespread condition. You’ll be able to enjoy a number of different benefits that coconut oil brings to the table when you start to use it on a daily basis as part of your curing acne regimen. Coconut oil contains the same powerful healing and infection fighting properties that is found in mother’s breast milk. These infection and healing properties, lauric acid, caprylic acid and capric acid, help to fight acne causing infections and help to heal and nourish the skin and keep it healthier. 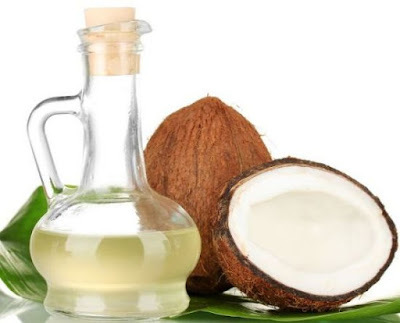 Coconut oil for acne benefits range from helping to kill acne causing infections, decreasing the look of acne scars and helping to prevent new ones, and alleviating inflammation caused by severe acne. Coconut oil helps to unclog pores and helps to increase metabolism, which helps to balance hormones that cause acne. Unlike most commercially made acne medications, coconut oil is all natural, and does not contain harmful chemicals that often dry out skin and do more damage than good. Not only is it going to provide you with its antibacterial and cleansing abilities (literally causing its own biochemical reaction when used topically on your skin to destroy sebum oil collections, impurities, and bacteria from the outside in) but you’re also going to be able to enjoy healthier and rejuvenated skin thanks to the influx of fatty acids and vitamins. Another of the “hidden benefits” that coconut oil offers over other acne solutions is that it has its own built-in SPF (with a factor of about four). This may not make it the perfect sunscreen, but it’s a fantastic base layer to lay down before you use a traditional sunscreen to gain further protection in the future. There are a couple of different products out there that take advantage of coconut oil treatment benefits, including cleansers, moisturizers, skin masks, and a whole host of other products, but the most effective would have to be a straight up coconut oil lotion or solution that you can apply directly to your face. 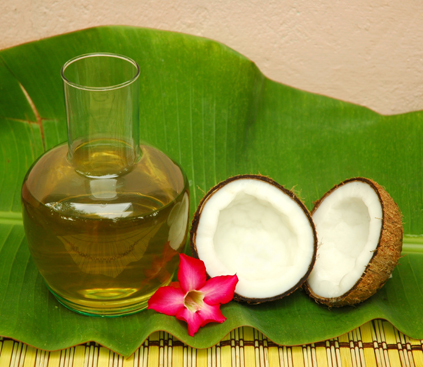 A good way to use coconut oil for acne is to spread a layer on all the areas affected by acne. You will want to make sure the coconut oil you use does not have any harsh chemicals added to the mix. It should be organic virgin, unrefined and cold pressed. This will help strengthen your skin, diminish any acne scars you may have and prevent any new scars from forming. Your skin will be healthier and more radiant. Apply the coconut oil at least once a day. You can apply it at night an hour or two before bedtime. You can also apply coconut oil in the morning in addition to a night time application. Additional applications throughout the day, up to 2-4 times total can help speed recovery. If you have large areas of your body that have acne you may want to add coconut oil to a tub of warm water and enjoy a relaxing bath. You can add a few ounces of coconut oil to your bathtub as it is filling. This will help to evenly mix the oil throughout your bathwater. Using warm water will help open your skin’s pores and make the treatment more effective. You can also use coconut oil for spot treatments. Give your skin a fighting chance against more persistent and aggressive areas of concern. Coconut oil is an excellent acne treatment for children, teens and adults. The best way to use coconut for acne prone skin is to take it both internally and externally. You’re definitely going to want to try at least a handful or more of different coconut oil on acne products before you choose the one that works best for you, but start off with a wash or lotion before choosing anything else. Thanks to the relatively “invisible” qualities of coconut oil shortly after you have applied it to your face it will never look streaky, and because it is considerably lighter than other lotions and oils you won’t have to worry about a shimmery or shiny face. So long as you aren’t a zit, pimple, whitehead, or blackhead you have absolutely nothing to worry about as far as side effects are concerned. Your skin is going to feel fresh, youthful, and extra elastic, and you may even be able to get a much healthier glow during the summer months thanks to the built-in enzymes that coconut oil will apply directly to your face. The only thing that you need to focus on when looking to use this kind of product to eliminate acne is making sure that you are investing in a high quality solution that you can trust and rely on. There is a world of difference between those products that actually perform and those that have been marketed and advertised well and it’s up to you to do your research and due diligence to make sure that you walk away with the very best of the best.